Congratulations and a very big welcome to the Rev. 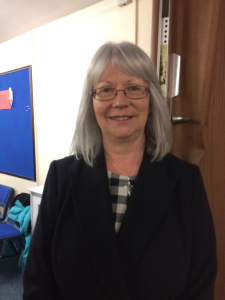 Margaret Mateos who was ordained as Dunfermline Presbytery’s first Ordained Local Minister on Thursday 13th September 2018. Margaret will be attached to St Leonard’s Church, Dunfermline working alongside Rev. Monika Redman for the next three years. Every blessing to Margaret as she begins this new chapter in her ministry.